Il fantastico video di Cristóbal Vila (Etérea Estudios), mago della 3D computer animation, sulla serie di Fibonacci in natura. Sul sito di Etérea una bellissima spiegazione della teoria che sta dietro il film. We all learned about the Fibonacci numbers in school. If you need a refresher course, the integers in the Fibonacci sequence start with 0 and 1. Each subsequent number is the sum of the previous two, so the third number in the sequence is 1, the fourth number, is 2, the fifth number is 3, and so on. The Fibonacci spiral is something we see every day in nature but never really pay much attention to. However, an amazing YouTube video called “Nature By Numbers” puts the mathematical sequence into perspective for us. Artists and architects have been using geometrical and mathematical properties since ancient times. We’ve seen it used by architects from Ancient Egypt, Greece, and Rome, and by Renaissance artists like Michelangelo and Da Vinci. However, Vila wanted to showcase how these properties are used in nature. 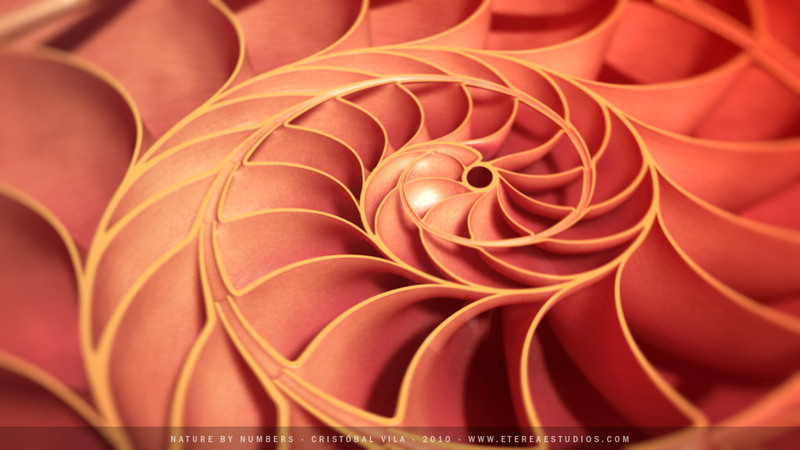 Filmmaker Cristobal Vila shows a series of animations that exemplify the Fibonacci sequence. The video then moves onto the Golden Ratio, the Angle Ration, the Delaunay Triangulation, and the Voronoi Tessellations. If those words sound long and scary, just sit back and watch the video and you’ll realize it’s all very simple. Vila goes into in-depth detail about each mathematic principle on his website of you want to get super nerdy with it. Questa voce è stata pubblicata in Biomimicry, ICT. Contrassegna il permalink.